Take your look to the next level with the right amount of color. Pear-cut blue topaz (7 ct. t.w.) adds the sparkle to these shining 14k white gold earrings with diamond accents. Approximate drop: 1-1/4 inches. 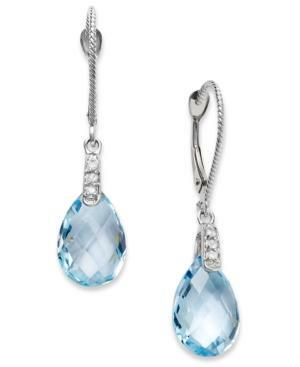 Diamond Drop Earrings In 14k White Gold, 1.25 Ct. T.w.